If you're starting to feel frustrated by the lack of change in your team or department’s SharePoint site, congrats, you’re an Office 365 Power User material. You think “I could do this better, if only I knew how!” Users are dropping content into the site willy-nilly. It takes days or weeks to find how to get access to anything. The structure is all wrong and makes it impossible to find anything. So you decide to seek that superpower and take on that responsibility, and save Gotham… your company’s SharePoint. But what’s the best path to becoming an Office 365 SharePoint Power User? Follow this 4 step training in order to become an Office 365 superhero in your business! The first step to becoming an Office 365 Power User is to get administrator rights to your site. To do this, you need to know who to ask, but also more importantly what to ask. You don’t want Server or Farm Administrator rights - that’s for the Infrastructure team. You either want Site Collection Administrator rights or Site Administrator. The difference is that a Site Collection Administrator can create list and site templates, site columns, content types, site groups, search scopes and other things you may not be ready to learn about. A Power User only really needs Site Administrator rights. These allows you to manage access, add new lists and libraries and reorganize content. You'll possibly require these rights to more than one site, but once you have them, you can start becoming the friendly neighborhood Spiderman! (or person). Make sure you understand how to use these rights. The most common mistake made by site admins is to not understand permission inheritance and privilege. Permission inheritance is the concept that rights granted to an object higher up in a hierarchy also apply to the objects below it. So, if you give a user Contributor rights at the site level, they have it in all the lists and libraries too, and this also applies to groups. If you put a user in a Group, they then inherit all the rights that Group has. The main rookie mistake Office 365 Power Users make is to ignore Groups and start granting users direct access to lists and libraries. This breaks inheritance and means you'll eventually have different lists or users with different rights on all your content containers. Key tip here: use Groups. Put users in Groups, and give Groups rights to content. If content needs a different group of people accessing it, create a new list for it, don’t just grant access directly to documents or list items. This will save a lot of confusion in the long run, believe me. Keeping the navigation and structure tidy is another ongoing job. Don’t let lists get so big no-one can find what they need. Either create views to sort the most relevant content to the top, or split different content out into different libraries or sites. Keep listening to the users - they'll tell you where you're needed. 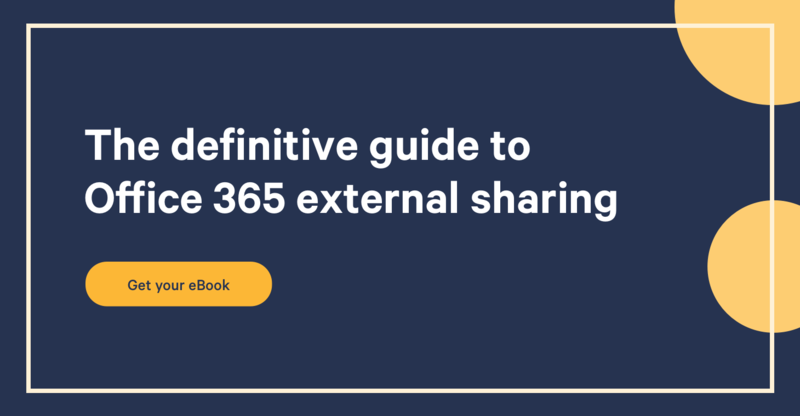 You'll soon see that a happy SharePoint environment is one where the users can get their work done with minimal confusion. If you find there is a lot of frustration around using SharePoint, it’s training time! Make sure the training task is focused and specific to the actual tasks your users do most often. Don’t speak generally about concepts like content management, talk about how to check out a file so Dan in accounting knows you're working on it. Keep the advice practical and useful and it will be remembered and applied. Training should not take more than one hour, or at least multiple hourly sessions separated by days to allow users to absorb and practice the tasks. In training sessions, beware being sidetracked by users wanting to talk about their needs or vague fears or complaints. This will quickly turn into a rambling therapy session which helps no-one. Do produce documents with screenshots showing people how to do things step by step. If these are good, they'll be used again and again and save you getting a lot of the same repeated questions. If you're successful, your site or sites will grow, yet like any good garden will need weeding and managing. Move content around to make more space and keep it so that finding things is clear and easy. Use tools like Sharegate to make this continuous process simpler and less of a chore. A good tool allows you to be more creative and effective in responding to user needs. As mentioned, create more views, move different categories or content with a different audience to different containers such as sites or libraries. If content must stay in the same container, filter how it is seen with views that move the latest items to the top or group them more meaningfully. Now that you’re an accomplished Office 365 Power User and have successfully taken on this new responsibility, what’s next? Simple - you can graduate to Site Collection administrator and learn about list and site templates, site columns, content types, site groups, search scopes. Then there’s Farm Administrator and beyond. You're on your way to becoming a SharePoint consultant or trainer. You could also move towards Design or Development. Once you understand the fundamentals of the platform, there's no stopping your learning of new skills. There's always room to learn more and get even more power and responsibility. Excellence is an attitude not a destination. As Stan Lee, the co-creator of Spiderman signs off in the Marvel comics, Excelsior!